Riga, somewhat of an undiscovered gem. I knew little about the country before the trip – the capital of Latvia, a former Soviet Union country, successful in the Eurovision contest and popular with scores of British stag parties. As city breaks in the winter go, choosing to go somewhere already colder than your home country (the UK) may seem a little foolish, but come prepared with a decent pair of boots, thermals, hat, gloves and a scarf and you’ll be laughing – laughing because Riga is blissfully quiet in the winter, void of noisy stag parties and coach parties of Russians.Plus, the snow adds a certain magical charm to the beautiful Old Town. 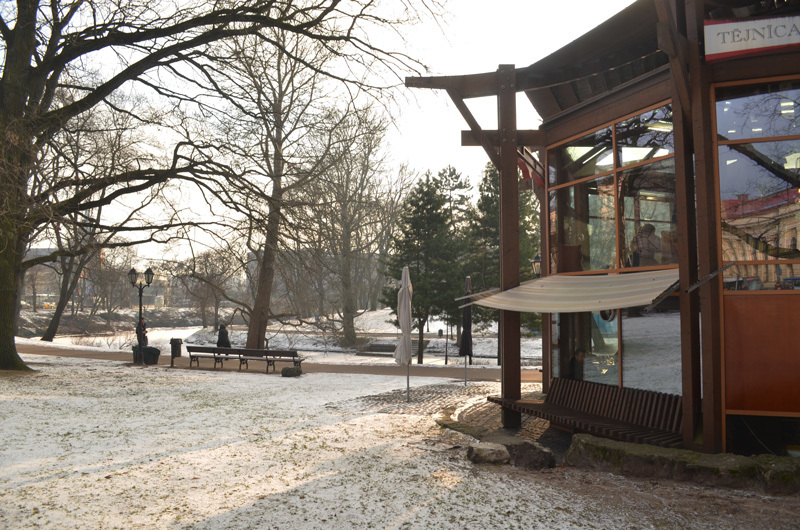 Here are a few ideas for a mini winter break in Riga…..
Keep your eyes at ground level, and the Old Town is the usual mix of souvenir shops, a few chain restaurants, beer halls and bars. But the secret? Just look up. Look up beyond the neon and the familiar, to the scores of Art Nouveau buildings, the largest concentration in the world. 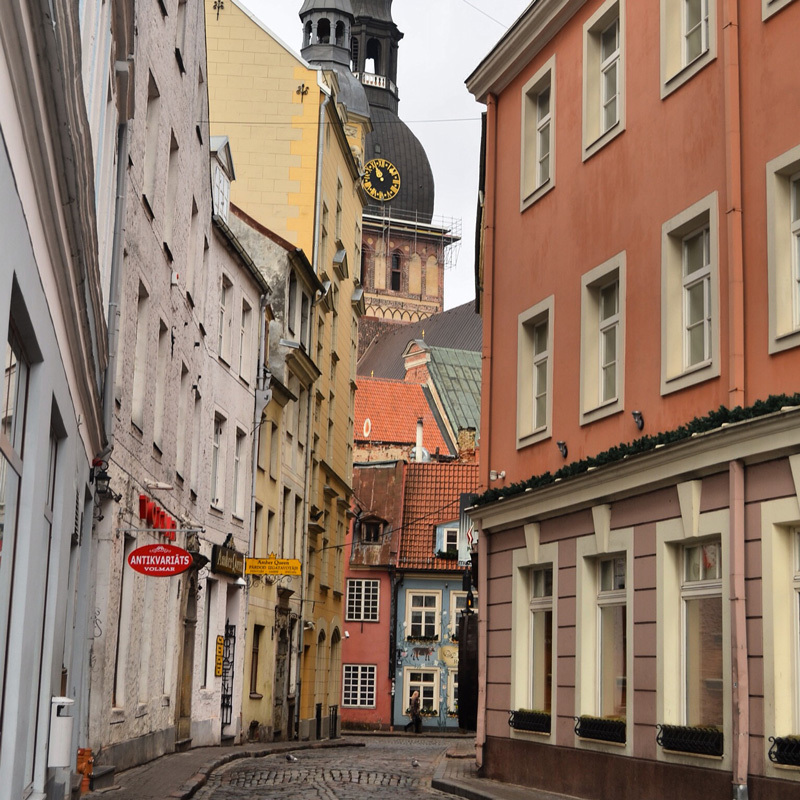 Around one third of Riga’s buildings are adorned with decorative columns, elaborate gargoyles and floral detail. Riga experienced a financial boom at the beginning of the 20th century, just as the Art Nouveau style was becoming popular amongst architectural circles. 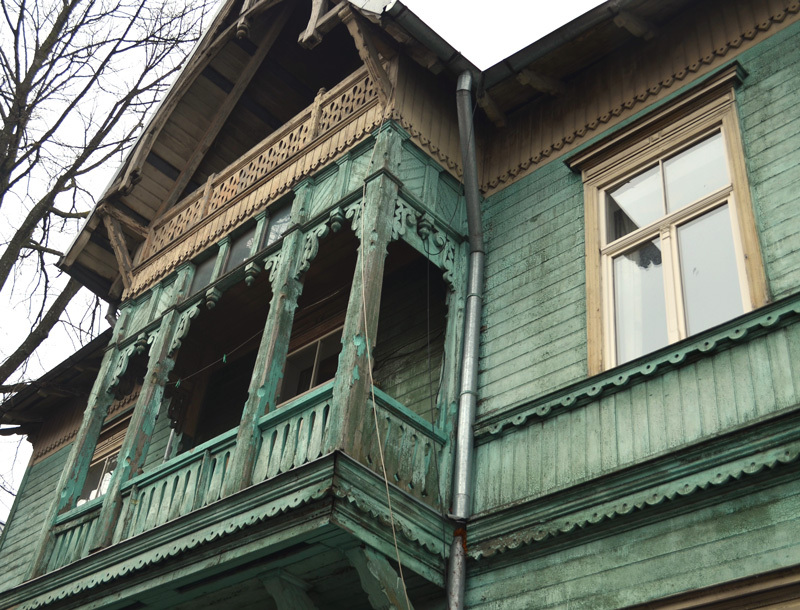 To the north of the Old Town, both Albertas and Elizabetes Street’s have the most striking collection of buildings, plus the Art Nouveau Museum provides further insight into the meaning and history of the movement. Take a stroll over the Suspension bridge, on to the left bank island of Kipsala to check out some of the old wooden houses which were used by fishermen in the 19th century. 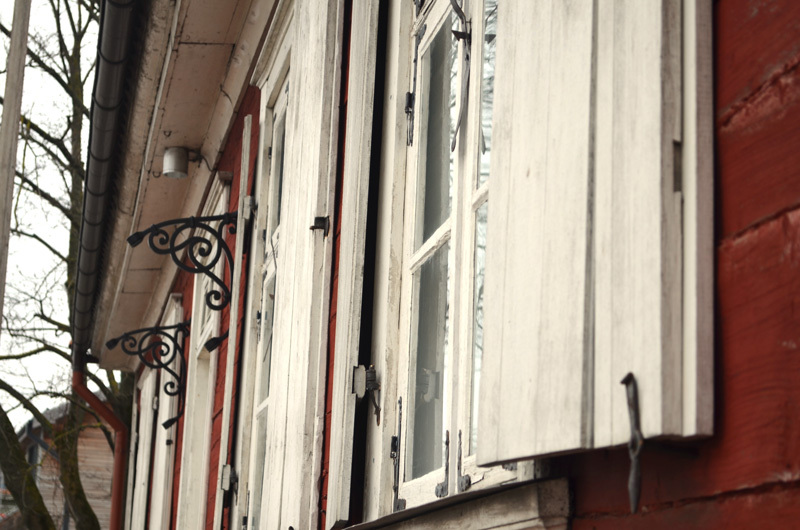 Many have now been lovingly restored and house the wealthier pockets of Riga residents, and holidaymakers. If it’s a Saturday, head back to the main road on the left bank and continue down to the interesting quarter of Kalnciema where a farmers and craft market is held from 10am-4pm. I’m not going to lie – wandering the streets even for an hour or so in February was bitter cold, and I frequently dived into a cafe just to warm my hands up. Whilst exploring the Art Nouveau streets of Albertas, I stumped upon this superb little basement Art Cafe Sienna on the way back to the city. 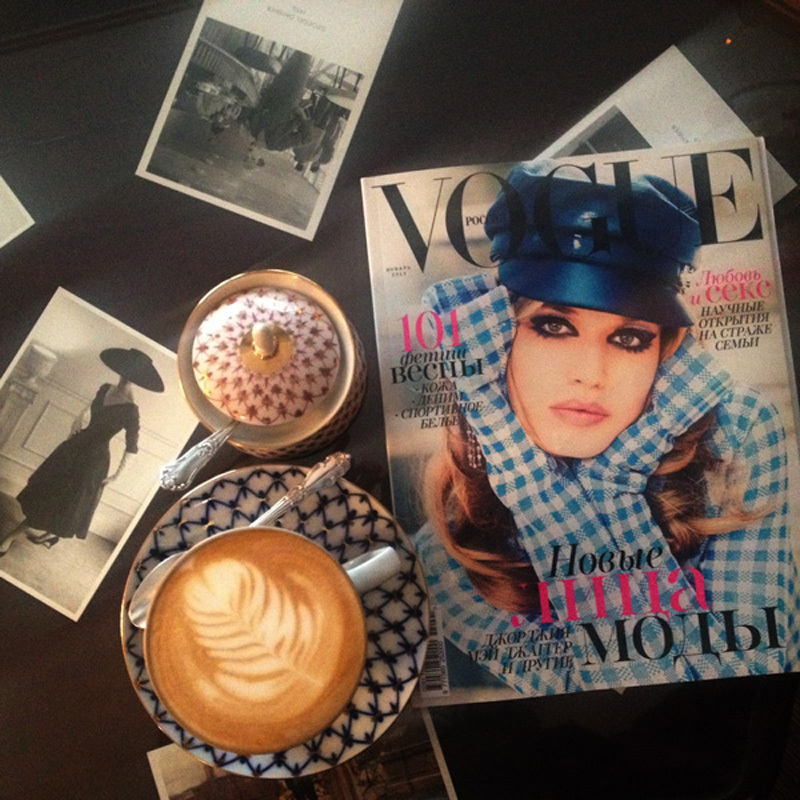 A touch like walking into a wealthy elderly ladies flat, the cafe was softly lit from quirky lamps with an eclectic mix of vintage sofas and bookcases filled with art books and old Russian copies of Vogue. Glass tables were decorated with old fashion postcards, coffee and French pastries were served with a smile. When the snow and icy winds set in, I found myself coming back time and time to the Aspara Tea House. Split over two levels, the top floor gives a 360-degree view of the frozen canal with plenty of cushions to curl up with a good book. Downstairs is a vast selection of teas – black, green and herbal with a selection of delicious miniature pastries, served on wooden trays. Latvia has experienced a turbulent history with two periods of independence from 1918 to 1940 and 1991 to present day. 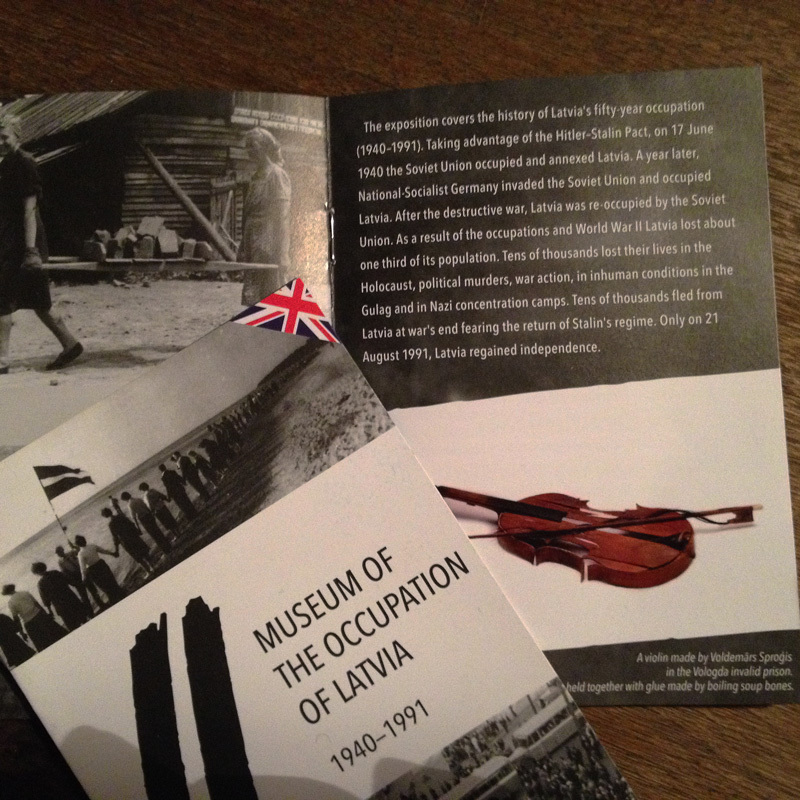 The Museum of Occupation documents Latvia’s fight for independence and the consequences of both Soviet and Nazi occupation during and after World War Two. By far the most moving of the exhibits are the short videos of men, women and children forced to leave Latvia for Gulag labour camps in remote parts of the USSR, banished from their homes for years on end. The most recent photos document the remarkable Baltic Way when 2 million inhabitants of Estonia, Latvia and Lithuania joined hands to form a human chain from Tallinn to Vilnius in a peaceful protest for independence in 1992. Bittersweet in taste with the appearance of used engine oil, and 45% alcohol content, this is the perfect shot to give you that warm feeling just before you stumble home onto the icy streets of Riga. Made from a secret blend of ‘medicinal’ herbs, it’s served as a shot or mixed with vodka or schnapps. In the 18th century, it was used as a cold remedy or a treatment to digestive problems. Folkklups Ala Pagrabs is the place for live music in Riga – from open mic sessions to Spanish fiesta’s -Wednesday’s, however, are always set aside for an old tradition: Latvian Folkdance night. Accompanied by a violinist and accordion player, the local dance group perform circle and step dances to old, traditional folk songs, with visitors hovering on the sidelines attempting to recreate their steps. The bar also offers a great selection of Latvian drinks such as sea buckthorn wine and homemade moonshine served with a gherkin as a chaser. Mmm, peppery. Latvian Folk Dancing from Look With New Eyes on Vimeo. 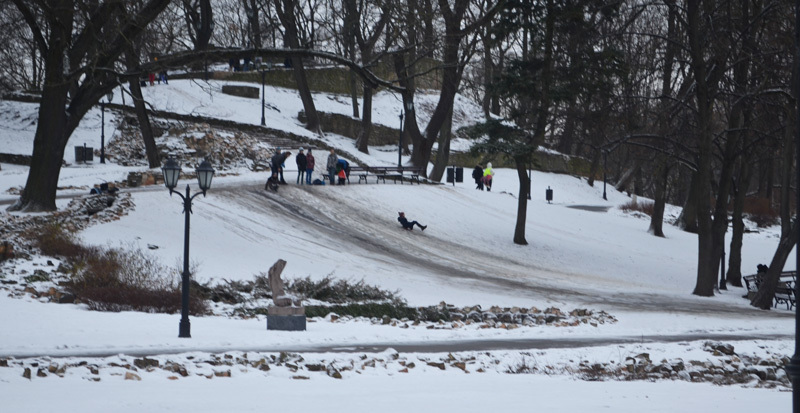 Set in the heart of Riga, Bastion Hill and Gardens are a natural playground for the snowy months. Kids and adults alike carry up all sorts to slide down the icy slopes from plastic cafe trays to bin lids and rubbish bags. For those less daring, the park is the perfect setting for an afternoon stroll, where lovers can attach a padlock to the small bridge over the canal, a traditional act of good luck to symbolise martial firmness and stability. 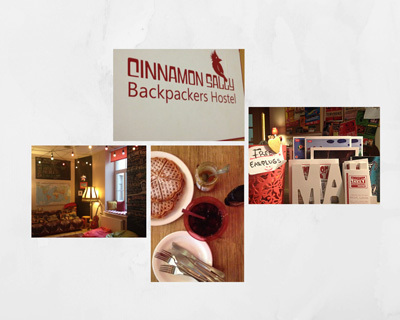 Cinnamon Sally has the homely hostel nailed – from the friendly, welcoming staff advising on the best Latvian food options, bars and activities; to spacious dorms, well-equipped kitchen, bright and vibrant common area, and, if you’re extra lucky homemade waffles and jam. It’s also a stone throw from bus/train stations and the Old Town. Heading to Latvia? Check out more posts here! Hi Janice, many thanks for your comments – so pleased you found them useful! 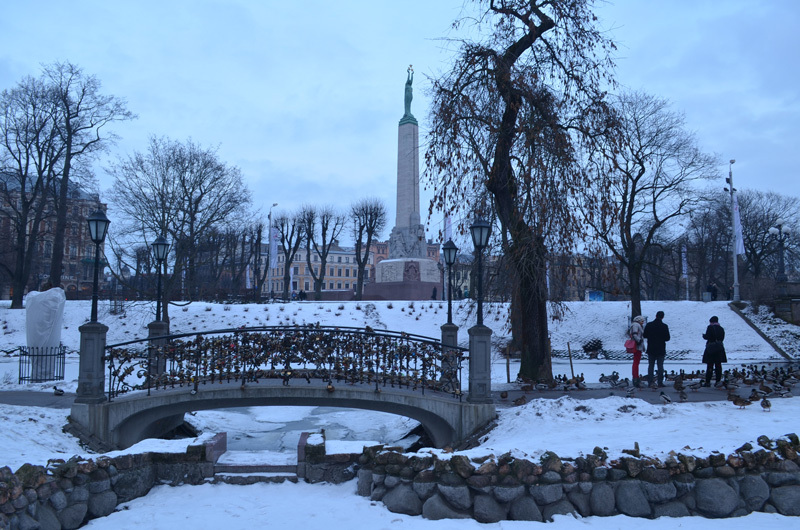 Riga is a fantastic city – and so pretty in winter! Where do you hope to head to on your next trip?